Three members of the Desborough family married three members of the Man family. In 1806 Georgiana Desborough, the daughter of Henry Desborough (of the Post Office) and Louisa Luther, married Edward Man. To view a diagram of how the Man and Desborough families have inter-married along with others such as Holworthy, Kirkness, Matthews and Webber click here (<— one page PDF). At the point when Louisa Ayton Desborough marries John Webber Harris (parents of Louisa Mary Harris), royal blood (somewhat diluted) begins to pour through the Man/Desborough veins. To view the descent from Edward III down to Edward MacPherson Man (Ed) please see the very end of this page. To read a description of the retirement dinner held for Henry Desborough of the Atlas Insurance Company (brother of Georgiana) (three pages in PDF) click here. To read Henry’s testimony before the House of Commons Select Committee on Postage click here. A genealogy of the Desborough family has been prepared and can be accessed here. (<— PDF). Also, there are two Desborough marriages to Rendalls. In 1854 John Rendall married Fanny Desborough and in 1887 Gerald Rendall married Ellen Desborough. Lawrence Desborough (1725 – 1799) Anne Bryne Desborough (1732 – 1794) Henry Desborough of the Atlas Assurance Co. and brother of Georgiana who married Edward Man. Ann Desborough, who married James Lawrence Man, had a brother John Desborough who had a very successful military career during the Boxer Rebellion, details of which will be forthcoming. Ann and John’s father was Henry Desborough of the Atlas Assurance Company (above right); he was the brother of Georgiana who married Edward Man. John Desborough was not the only successful military man in the family, much earlier in the 17th century a John Disbrowe rose to the rank of general in the parliamentarian forces during the English civil war. He married Oliver Cromwell’s sister Jane Cromwell. It was this John Disbrowe who advised Oliver not too accept the crown when parliament offered it to him. A listing of births, marriages, and deaths appearing in the Gentleman’s Magazine starting in 1816 and covering the names of Desborough, Disbrowe, etc. can be viewed here. A transcription of a letter from Sophia Kellner to Henry Desborough (in PDF) can be read here. Abstracts of letters to Sir Robert Peel, etc. can be read here. An aunt of Georgiana (Desborough) Man’s, Fanny Desborough, married on 1 October 1870 John Henry Stewart. One of their children, Frances Emelia Stewart married Sir Augustus Brydges Henniker and they had a daughter Frances Elizabeth Henniker who married Charles Robert Bree whose two main claims to fame was a book on birds not found in the British Isles and his attacks on Charles Darwin’s theory of evolution which he published as ‘An Exposition of Fallacies in the Hypotheses of Charles Darwin‘. Desborough Albums: 1. Small contact sheets and 2. Large contact sheets. These have been divided up to make access easier: Small contact sheets pages 1- 4; Small contact sheets pages 5 – 8. Large contact sheets pages 1 – 4; Large contact sheets pages 5 – 8; Large contact sheets pages 9 – 12; Large contact sheets pages 13 – 16. * based upon the book The Plantagenet Roll of the Blood Royal Being a Complete Table of all the Descendants now living of Edward III, King of England by The Marquis of Ruvigny and Raineval. Desborough , Disbrow, Disborowe, etc Mentions in the Gentleman’s Magazine 1800 – 1836. 1800 Aug 7 Marriage At Elslworth, Co. Cambridge, Charles Bedford, esq., Procter of Doctors Commons to Miss Desborough of Huntingdon. 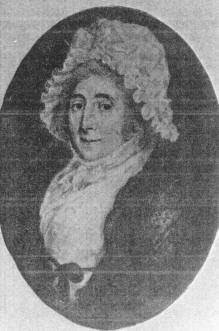 1802 Aug 29 Death At Peterborough, the wife of Lieut-col. Desborough of the Royal Marines. 1803 Dec 17 Marriage At Portsmouth, Lieut-col. Desborough of the Royal Marines to Miss Vivion. 1805 Oct 1 Death In Billiter-square, George Desborough, esq. agent-victualler to his Majesty’s fleets on the Leeward Island station. 1806 Sept 8 Birth At Chatham, the wife of Lieut.-col. Desborough of the Royal Marines, a son. 1806 Dec 13 Marriage Edward Man, esq. of Harp-lane, Tower Street, to Georgiana, youngest daughter of Henry Desborough esq. of the Post-Office. 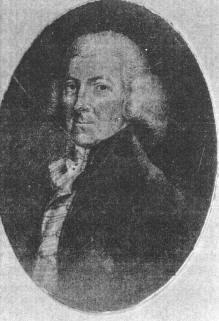 1806 Elected – New Windsor – Edward Disbrowe. 1807 Oct (Lately) Birth At Chatham, the wife of Colonel Desborough of the Royal Marines. 1808 Oct Mr Nield’s ‘Remarks on Huntingdon Gaol’ – Surgeon, Mr. Desborough. 1817 Feb Death Aug 30 1816 At Calcutta, Charles Desborough, Esq. of the East India Company’s Medical Establishment. Appearing in Feb 1817 is this notice: Aug 30 1816 At Calcutta, Charles Desborough, Esq. of the East India Company’s Medical Establishment. Oct 5 1819 Marriage – Maj.-General Sir Herbert Taylor to Charlotte Albina daughter of the late Edw. Disbrowe, Esq. 1820 Oct Marriage lately Joseph Henry S. Carrad esq. of the Canton of Vaud , Switzerland to Miss Louisa Disbrow, daughter of the late Bishop of Down and Connor. 1822 Dec 22 Birth In King Street Mrs. Henry Desborough, a son. 1825 April Lieut. Col. G. Disbrowe Grenadier Guards to Louisa, dau of Lord Kilmaine. 1826 June Death Lately at Bambourg France age 21 Catherine, eldest dau. of the late Lieut.-General Desborough. 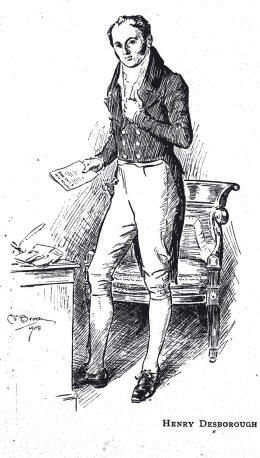 1829 Aug 11 Death at Clapham aged 74 Henry Desborough esq. late Clerk of the North Road General Post Office. 1832 Feb. Death Lately in Chester St., Grosvenor Place, Charlotte Catherine Vere, dau. of Lieut.-Col. Disbrowe, Grenadier Guards. 1833 Jan 26 Death at Brighton, aged 13, Susan 2nd dau. of Henry Desborough esq. of Southgate. 1834 May 12 Marriage At All Saints Southampton, H. Desborough, esq. to Mary, dau. of late Lieut. Gen. Desborough. 1834 Nov 25 1834 Death At Carlsruhe [Germany] Albina, second dau. of Sir Edward C. Disbrowe, G.C.H. of Walton-hall, Derbyshire, Envoy Extraordinary to the Court of Stockholm. 1836 Marriage Aug 4 At Sunning-hill, The Rev. J. W. Geldart LLD Regius Professor of Civil Law at Cambridge, to Mary Rachel dau. of the late W. Desborough of Henningford Grey. 1838 Deaths At Clapham, aged 76, Louisa Ann, widow of Henry Desborough, esq., formerly Clerk of the North-road General Post Office. The following is based on various sources including Sir Leslie Stephen’s entry in the first edition of the DNB. 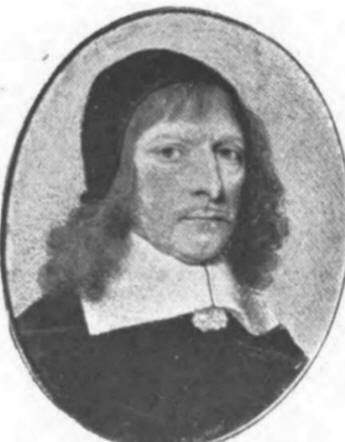 Samuel Desborough [Disbrowe] (1619-1690), was born at Eltisley, Cambidgeshire, in November 1619, and was obliged to retire to America on account of his religion. He arrived at New Haven in July 1639 aboard a ship of about 350 tons, and in August he helped negotiate the purchase from the Indians the tract of land comprising the present town of Guilford, the contract being formally made on 26 Aug (the deed dated 30 Sept., 1639) thus becoming one of the early settlers of Guilford, Connecticut, in 1641. These papers and a map made by the Indians of the territory sold and of the adjoining coast, are still preserved in the Massachusetts historical society in Boston. During his time in the colonies Samuel became first magistrate of Guilford, and filled other high offices with disntction. The first settlers of Guilford came to New England when the hold of the Dissenters was broken from the mother country, so that they settled as an independent republic. Their constitution is on record in the handwriting of Samuel Disbrowe. This document is complete in all its parts, providing for executive, legislative, and judiciary departments, the order of its courts, manner of holding its meetings, etc. When Desborough left Guildford his property was purchased by Dr. Bryan Rossiter and on returning home in the autumn of 1650 he sought employment under the Commonwealth.In 1652 he was acting as a commissioner at Leith in Scotland. On 4 May 1655 he was appointed by Cromwell one of the nine commissioners for Scotland, and was made keeper of the great seal of Scotland on 16 Sept. 1657, an office in which he was continued by Richard Cromwell. He represented Midlothian in the parliament of 1656, and Edinburgh in that of 1658-9. 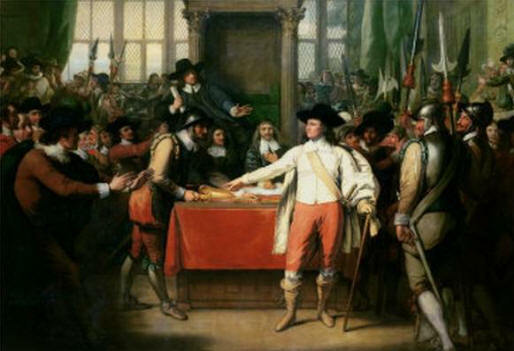 Upon the prospect of the Restoration of the monarchy (Charles II) he prudently embraced the declaration of Breda, and signed his submission, in the presence of Monck, on 21 May 1660. He obtained a full pardon, with restitution of goods and lands, on the following 12 Dec. After this he retired to his seat at Elsworth, Cambridgeshire, which, with the manor and rectory, he had purchased in 1656. He died there on 10 Dec. 1690. He was twice married: first, to Dorothy, daughter of Henry Whitfield of Ockley, Surrey, the first minister of Guilford, Conneticut. By her, who died in 1654, he had a daughter Sarah, born in March 1649, and a son James, a doctor of medicine. The son married, on 9 March 1678-9, Abigail, daughter of John Marsh of St. Albans, Hertfordshire, and had a daughter Elizabeth, who became the wife of Matthew Holworthy, only son of Sir Matthew Holworthy, knight, of Great Palgrave, Norfolk. James died at his house in Stepney Causeway about the same time as his father, for his will, dated on 26 Nov. 1690, was proved on 14 Jan. 1690-1. Desborough married for the second time in 1655 Rose Hobson, who had previously been married, first to a Mr. Lacey, and secondly to Samuel Penoyer, merchant and citizen of London. She died on 4 March 1698-9, aged 82. His brother John was a general under Oliver Cromwell and he married Cromwell’s sister, Joan. Below ‘Gyant Desborough’ [John] holding a large club leads a ‘Meek Knight’ (Oliver Cromwell’s son Richard) followed by General Lambert; an illustration from the frontispiece of the book ‘A comical history of Don Juan Lamberto’. The will of Charles Desborough can be read here < — in PDF. Executors of this my Will and hereby revoking all former Wills and Codicils by me heretofore made I do publish and declare this to be my last Will and Testament contained in four sheets of paper set my hand and seal, that is to say, my hand to the first three sheets thereof and my hand and seal to this fourth and last sheet this tenth day of September one thousand eight hundred and twenty seven. – H. Desborough (seal) – Signed, Sealed, published and declared by the said Henry Desborough the testator as and for his last Will and Testament in the presence of us who in his presence and at his request have hereunto subscribed our names as Witnesses – S. Humphry No. 7 Peckham Grove, Surrey – S. J. Pickering No. 2 Tower Royal, Watting Street – Edmund Barlow No. 1Goswell Terrace, Goswell Road. Proved at London 3rd October 1820 before the Worshipful John Danbury, Doctor of Laws and Surrogate by the oaths of Henry Desborough and Laurence Desborough the sons, the executors to whom administration was granted having been first sworn duly to administer. Transcription of the Will of Louisa Ann Desborough, 1830.
of Clapham in the County of Surrey, Widow, do make this my last Will and Testament. After payment of my debts I leave various articles of Plate & to my Children to be divided & the remainder sold. I leave to my Son Henry & in case of his death to his heirs & Executors the Leasehold Estate in Limerick which was bequeathed to my late Husband & to myself by Mr. Eavis Ninbus, late of Bideford in Devon & as …. in his Will. I leave to my Sister Sophia Elizabeth Kellner should she survive me the sum of Two hundred pounds, but in case she dies before me I then leave to her Daughters & my Nieces Sophia Kellner & ffanny Kellner the sum of One hundred pounds each & to my Nephews George Kellner and John Kellner the sum of ten pounds each. As to the rest and residue of my property of whatsoever kind or nature I leave to be equally divided among my Sons and Daughters share and share alike, but in case of the death of any of them then the share of each Son and Daughter so dying to be appropriated and applied to the use & benefit of any Child or Children surviving in equal proportions share and share alike. I hereby constitute my Sons Henry & Laurence Executors of this my Will. I Louisa Ann Desborough leave my Plate, Pictures and Books to be divided as follows: To my Son Henry, Neal’s History of Westminster Abbey, 2 Vol. ; Bible containing ages of the ffamily; Common Prayer Book by Baskmiller; History of Josephas; Miniture of father by Kirkpatrick; of …. Desborough; and of his Grandfather and Grandmother; Profiles of … and … Desborough; Portraits of George the Third & Queen Charlotte; Miniature of myself; and of One Print; Marble Box for his Wife; Plate, Soup Ladle, Wine ffunnell and Marrow Spoon and his father’s Gold Seal, Diamond Ring belongs to my Son Henry being the late Coll. Winbusand willed to my Son by Mrs. Eavis Winbus. To my Son Laurence.